When I learned that Richard Prestegard (’02 agriculture business) had returned to farm with his family in southern Minnesota as the FIFTH generation of family farmers, I knew this story was something special. Both sides of Richard’s family have deep farming roots. His great-great-grandfather on his father’s side, Peter Prestegard, came to the Owatonna, Minn., from Norway. His great-grandfather, Carl; his grandfather, Omar; and his father, Allen, all farmed land in Minnesota. The land Richard and Al currently farm is from Richard’s mother’s side of the family: the Fensky side. Richard and his wife, Brooke (’03 history and political science) live on the farm that was his grandparents’ home on his father’s side. You sort of need a genealogy chart to keep track of it all. Richard says he always knew he’d come back to the family farm. He attended Iowa State to learn about agricultural management and agronomy as well as the “technical side of things”: cash flow, balance sheets, good business management practices. He and his dad raise corn and beans, and in addition they run a truck resale business and a trucking company. 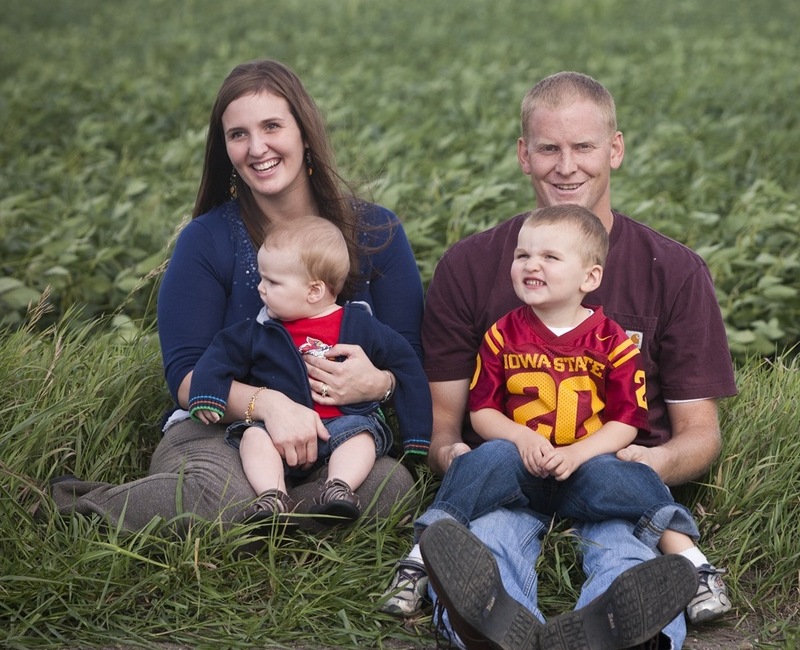 Richard and Brooke hope their two boys, Hayden (almost 3) and Hudson (9 months) will continue the family’s farming tradition, but Richard says they’ll have to want to become farmers. “I’m a firm believer that farmers are raised, not born,” he says. 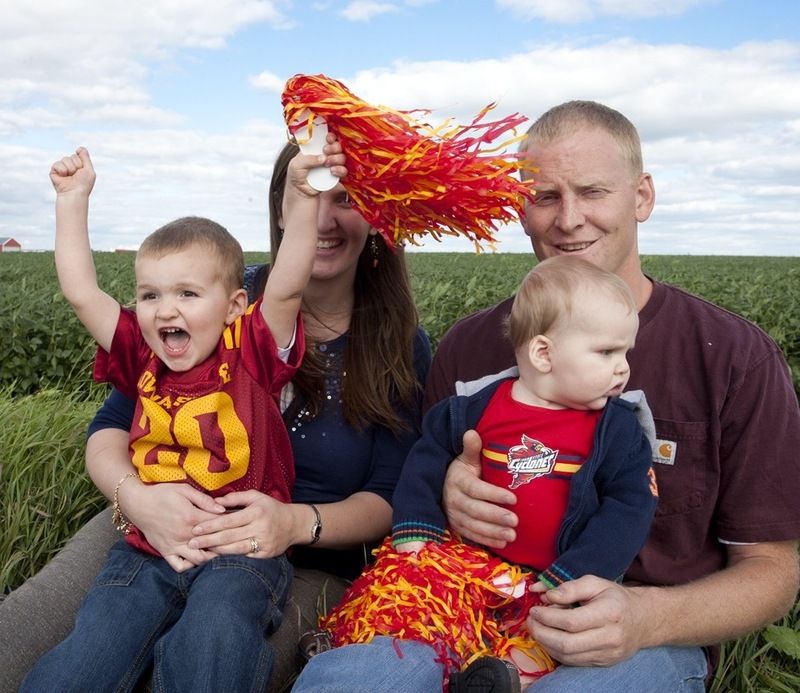 Hayden proved them right, cheering for the Cyclones during an otherwise dull (for a preschooler) family photo shoot.